Just by checking the website name, you might have got an idea about the kind of posts that you will find here. Yes, NBA updates and other news will be our main focus. 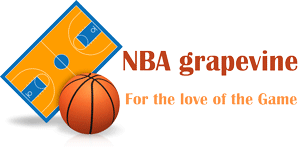 But we will also cover different sports like cricket, tennis, baseball, etc on our blog page. There is a huge fan following for football, so you will come across posts relating to them as well. Keep you updated- That’s the number one aim of us. To keep you updated with all the news updates and even the match scores. No rumors. Only True Story- We will only include a story or news after we have confirmed it from our side. Online medium has been prone to this problem, so we will try to do every bit that we can do. Value of Sports- To reach out to as many people possible, and make them aware of the importance of sports. We can call you as a reader or a visitor, that’s the only way in which your role can be addressed. But here we are giving an opportunity to all the lovely readers, to share and post your feedback or any suggestions for each post updated. This way, we could better understand your requirements and also learn to be more reader-friendly. Yes, you also have got some responsibilities. 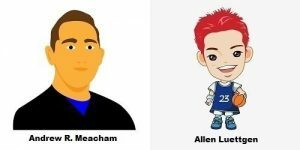 This page is run by two sports freak people Andrew R. Meacham & Allen Luettgen. They both met in high school, and have teamed up together for this blog work. Andrew is a full-time banker, but he still got a lot of passion for sports whereas Allen is into sports. He is a football player and also coaches students in the evening for tournaments. You are sure to have lots of fun here!